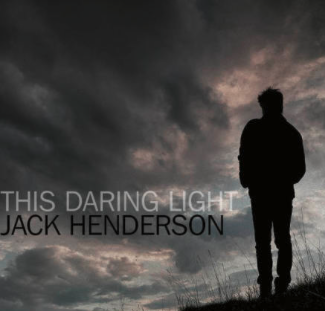 Sitting in the airport waiting to fly to London to play two showcase gigs with British singer songwriter Jack Henderson. 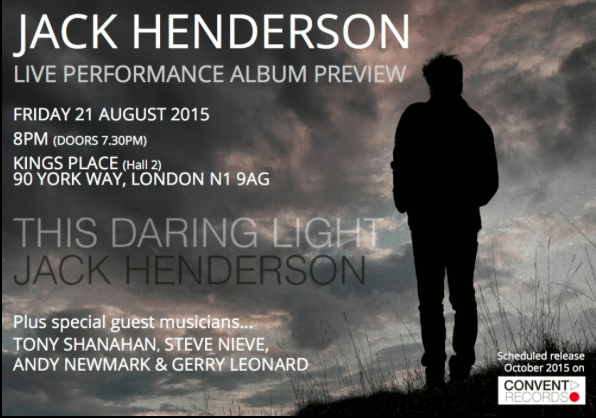 My friend Tony Shanahan from the Patti Smith band produced Jack’s last album “This Daring Light” and got in touch to ask me to come on board as guitar player for these showcases in the UK . I am delighted to be included, as the rest of band are legendary musicians and I feel very excited to play with these guys. Besides Jack the artist and Tony on bass, we have Andy Newmark on drums and Steve Nieve on keyboards. And the coolest thing about the Convent gig is you can stream it here ! I believe its 5 quid and available for 7 days. This entry was posted in News and tagged Andy Newmark, Gerry Leonard, gerryleonard, Jack Henderson, Spooky Ghost, Steve Nieve, the convent, Theconvent.net, Tony Shanahan. Bookmark the permalink.